I had the honor of sitting down with Tia Waller-Pryde, Nia House’s founder, and learned how Nia House began, her vision for the school and how she believes Montessori’s approach fits into the contemporary climate of educational equity. I worked with pre-school aged children since I was 13 and had dreamed of one day having a school of my own. In July of 1974, I was 23 years old and had just completed my M.Ed, including a specialization and certification in the Montessori method. I was on vacation in San Francisco and was encouraged by my best friend to chant Nam-myoho-renge-kyo to find a teaching position that would allow me to stay in the Bay Area. Not only was that the beginning of my Buddhist practice, which transformed my life (and is a much longer story), but it also fulfilled my long held desire to establish a school for low-income children. 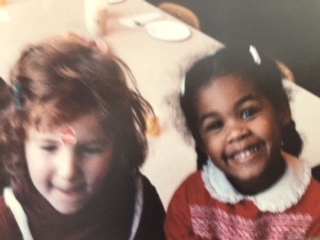 Within two weeks of my arrival in California, I met Ruth Massinga, who then headed Berkeley Children’s Services (BCS). Ruth was a social worker by profession but most importantly, she was a strong advocate for children, particularly those from underserved communities. The city of Berkeley had recently assessed the need for children’s programs and provided funding to BCS to expand existing services and create new ones. My good fortune was meeting Ruth at just the right time. She hired me to create a new pre-school in Berkeley focused on serving low and moderate-income families. A building on Solano Avenue was already identified for the site but needed renovations to house a children’s program. With the help of the Army Corp of engineers and sound advice from Ruth, our dedicated staff and supportive parents brought Nia House into existence. The center had a sliding fee scale with many families paying $20/month for a full-day program that included a hot meal. A wonderful community of children and their families embraced our approach and began to thrive. For me, Montessori’s approach to learning is what education in our world should be. It is an approach that builds confidence, independence, caring for self and others, and results in self-motivated learners. Children learn to respect and value every person and to understand their connectedness to others and their environment. The opportunity for African American and Latino children from underserved communities to have early learning experiences like Nia House is critical to educational equity in our country for a number of reasons. Research on the connection between rich learning opportunities during the early years and the healthy development and future educational success of children is overwhelming. When you then consider that we live in a world where adults still make assumptions, sometimes unconsciously, about a child’s capacity to do intellectual work based on the color of their skin, it is even more important that children are strongly rooted in the knowledge of their own capacity to learn anything. And finally, I believe that if we are ever to be successful in transforming our country into a place where people from every background and experience can grow, thrive and contribute their talents to this world, we have to start by consciously creating such environments for our children. 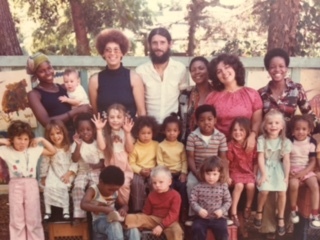 When I created Nia House, I believed Montessori’s approach of educating the whole child applied in an environment that reflected the diversity of our country would positively impact not just the families we served but the entire community. I still do. Today, we were graced with a visit by Nia House's visionary founder, Tia Waller-Pryde. I had the great fortune of talking with Tia and learning about her life, what brought her to value the work of Maria Montessori, and how she believes Montessori's work lends itself to educational equity and peace. I am excited to share our conversation in depth soon. Tia Waller-Pryde invites the Nia House community to Victory Over Violence. If you are grappling with the pervasive violence in the world and media, perhaps this might be a healing outlet.